New Delhi, Aug 19 (IANS) Traders across the country faced problems on Saturday as the Goods and Services Tax (GST) return filing website stopped functioning due to a technical snag, a day ahead of the last date for filing GST returns. “The GST site has been working intermittently since 12 noon. It is creating a lot of confusion among traders. Many of our clients have called up saying they can’t file returns. If this continues the government might need to extend the last date of filing by another couple of days at least,” Prateek Jain, chairman, Assocham Special Task Force on GST, told IANS. The last date for filing GSTR-3B form for July is August 20, which is a summary return of details of outward supplies, inward supplies, credit and payment of GST. The government recently extended this deadline till August 28, but only for those who want to avail transitional input tax credit, which according to experts are not many. However, the site did not become operational till late in the evening, leaving the traders harried. Phone calls and text messages from IANS remained unanswered by GSTN. “Due to system errors, taxpayers are not able to file returns and more so today, possibly due to heavy traffic, GST taxpayers are unable to log in for filing of return. “This situation is putting taxpayers in distress, and would be avoidable by making available GST return forms well in advance. It’s just been approximately two weeks since form GSTR-3B was made available for filing. 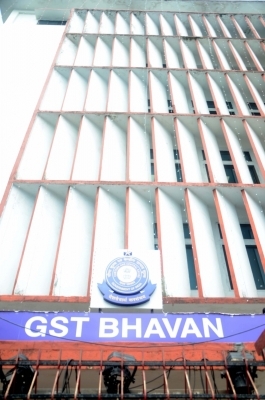 As expected, this being the first return for GST taxpayers it took time to understand the system and taxpayers started filing GSTR-3B only this week,” Pune-based chartered accountant Pritam Mahure told IANS. The summary return for the month of August is to be filed by September 20. Apart from GSTR 3B, three forms — GSTR 1, GSTR 2 and GSTR 3 — need to be filed. For the month of July, the three forms will have to be filed between September 1 and 5, September 6 and 10 and September 11 and 15, respectively. Form GSTR 1 would reflect sales of a business, GSTR 2 would reflect purchases and GSTR 3 is a combination of sales and purchases. For the month of August, the three forms will have to be filed between September 16-20, September 21-25 and September 26-30 respectively. The date of filing returns for the month of July was earlier extended by the GST Council by a month.